Our DDoS protected VPN service is competent enough to withstand the most complex DDoS attacks. HFN’s DDoS protected VPN provides is a revolutionary feature that protects users from DDoS attacks that slow down gaming speed or affect servers. 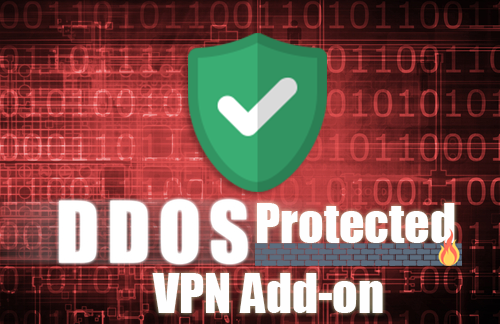 HFN’s anti-DDoS hides your real IP from the attackers and filters the incoming traffic to your connection through its anti-DDoS mitigation servers. How Does HFN DDoS Protected VPN Voxility or OVH Work? HFN anti-DDoS hides your real IP from the attackers and filters the incoming traffic to your connection through its anti-DDoS mitigation servers. Servers streaming a live feed can provide uninterrupted and fast streaming to their clients with HFN’s DDoS protection. Unwarranted traffic means decreased speed or shutdowns.HFN’s DDoS protection blocks all unwarranted traffic reaching your machine. OpenVPN Access Server is a full featured secure network tunneling VPN software solution that integrates OpenVPN server capabilities, enterprise management capabilities, simplified OpenVPN Connect UI, and OpenVPN Client software packages that accommodate Windows, MAC, Linux, Android, and iOS environments. OpenVPN Access Server supports a wide range of configurations, including secure and granular remote access to internal network and/ or private cloud network resources and applications with fine-grained access control.